2016 Toyota Etios Liva facelift has been launched. The facelift version gets some cosmetic treatment to make it look more attractive. Toyota Ethos Liva was never a great looker but it now gets some cometic upgrades to compete better in the market. So, what is new about this new Etios Liva facelift? We give you a detailed analysis of the hatchback. Read our review of this new facelift. Toyota’s new Etios Liva facelift gets a new front grille, headlamps and even fog lamps as well. 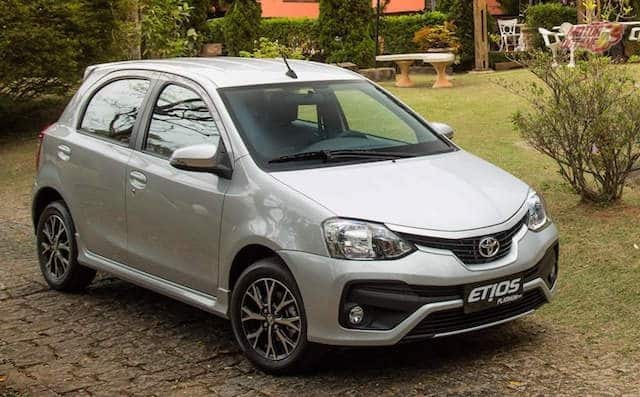 The Toyota Etios Liva has undergone a change in styling. The front end reminds us of the Baleno. There is no change in the side profile and the rear too doesn’t get too many changes either. The Etios Liva facelift gets minor cosmetic changes only.The Liva’s trendy colours do add on some glam to its styling, and rear looks stylish as well. The Liva doesn’t have unwanted styling elements and is good for someone who needs a subtle looking hatch. On the inside too, there aren’t many changes. Toyota has enhanced the features offered on this hatchback. The Liva’s recent upgrade to adjustable headrest was a very good option. This makes the car feel a lot more premium on the inside. 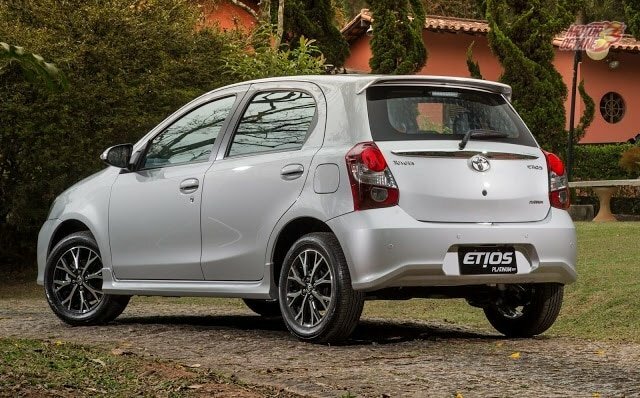 The Japanese car maker has changed a lot of things in the Etios family after a delayed customer feedback. There is a lot of stowage space. One can store seven litres of bottles in the Liva alone, which is humongous. Then there is a decent size boot as well. Seating comfort, driving position, access to controls, these are some elements that Toyota well has taken care of. The Toyota Etios Liva is available in seven colour options. These are Vermilion Red, Ultramarine Blue, Classic grey, Silver mica, Metalic Harmoney Biege, Celestial Black and White. The Etios Liva comes fitted with a 1.4-litre diesel engine and a 1.2-litre petrol engine. The petrol engine is quiet. This engine produces about 79bhp of power. Most of the power is available at higher revs, so you need to downshift for an overtake, especially while driving on an highway. Most of the drivers prefer relaxed type of driving then this engine will perfectly suit this requirement. The diesel engine of the Etios Liva is a gem. This is a 1.4-litre engine that churns out 67bhp of power. Be in almost any gear, the engine pulls without any hesitation. This is what Toyota’s are known for. This diesel engine has the typical Toyota characteristics, which makes the Japanese auto giant one the best sellers in the world. The oil burner is a bit noisy, however it is highly fuel-efficient too. Both engines are offered with a five-speed manual transmission. The petrol Liva returns a decent figure of 12 km per litre in city driving and with highway, the mixed figure is close to 14 km/litre. The diesel returns about 16km/l with ease, while on the highway, the figure is between 19-22km/l depending on your driving condition. The Toyota Etios Liva comes with Dual Airbags, ABS, tilt steering, revers parking sensors, power windows and central locking. It also has electric ORVMS with turn indicators, fog lamps, integrated audio system with bluetooth and audio streaming.